It's that time of year again! As the last few days of Chanukah end and it starts to look and feel a lot like Christmas, I can't help but share some of the songs that I'm really enjoying this time of year. It's important to note that some of these are traditional holiday songs while others aren't. The mix of traditional and pop is more truthful to my music tastes anyway. Enjoy and let me know which songs are your favorite during the holidays. Feel free to check out my summer music playlist from August too. Donny Hathaway: This Christmas -- How could you not like this song? I would play it all year long if that didn't seem weird. It's not just the singing parts that are great, but the jazzy musical instruments too that always get me. Can't get enough. Lana Del Rey: Blue Jeans -- Not sure why, but this song makes me think of cuddling up by a warm fire...wearing blue jeans. She does mention sweaters and December, so I think it's appropriate. Couldn't you imagine this playing in a montage video of your awesome holiday party? 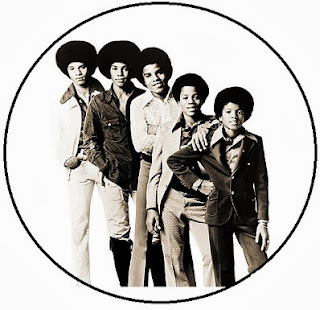 The Jackson 5: I Saw Mommy Kissing Santa Claus -- This just happens to be one of my all-time favorite Christmas songs. I couldn't stop listening to it when I was a kid. I was totally convinced that all mothers kissed Santa Claus on Christmas when he delivered presents. So although I loved the song, it also made me a bit nervous that I would witness my mother kissing a jolly, bearded man. Key & Peele: Just Stay for the Night -- This is a parody of Baby It's Cold Outside and it's hilarious. You wouldn't see it as the usual holiday song, but I couldn't help myself, especially since people have found some other (rapey) similarities between the two songs. "Say, what's in this drink?" --ugh, say what? Adam Sandler: Chanukah Song -- The hubs is Jewish so we tend to celebrate both Chanukah and Christmas. This year, it came a bit early so we'll have to figure out when we'll exchange gifts as we like to do it in between the two holidays. If you really, really wanna-kah, have a happy, happy, Hanukkah! Norah Jones: Don't Know Why -- It's just such a sweet, sweet song. I feel like summer music is more like a start to a day, while winter music is like an end to a day. And this is the type of song you want to hear at the end of a day while you're sipping on hot chocolate and wearing toe socks. Mariah Carey: All I Want for Christmas Is You -- Did I mention how the hubs is Jewish? Well, his favorite holiday song is actually a Christmas song--this song, to be exact. He always goes between which version is his favorite: Mariah's or Olivia Olson's from Love Actually. You know the scene! Cast of RENT: Seasons of Love -- So I know Glee did a version of this, but have you heard the one by the movie cast of Rent? It's effin' fantastic. No one hits notes like Tracie Thoms, my word! There is no way this song doesn't put you in a good mood. 'Tis the season. And yes....I have the movie soundtrack of Rent, and I must've played Seasons about a million times. a very nice selection of christmas music cheryl. most of those are on my playlist too. mariah is a must for me each year. have a great weekend. Looooooove Adam Sandler's Hanukkah song! love the song by Jackson 5. Absolutely love your play list! Great playlist, I have to say Mariah's All I want is the catchiest cutest holiday tune of all time! Your comment meant a lot to me...Thank you dear. Great selection - all great holiday songs! Truth: I'm kind of listening to 'Mistletoe' by Justin Bieber a lot lately - I just like it!! LOVE your christmas playlist! haha I genuinely love just about every xmassy song out there! This is great list, especially The Jackson Five. One of my favorites is "Fairytale of New York" by The Pogues there is just something about it. I'm so happy to know someone else watches/enjoys Key and Peele. And And I Saw Mommy Kissing Santa Claus has been playing on the radio nonstop, funny because this year is the first time I've heard the song. My favorite songs during this season are probably every song from The Polar Express soundtrack.